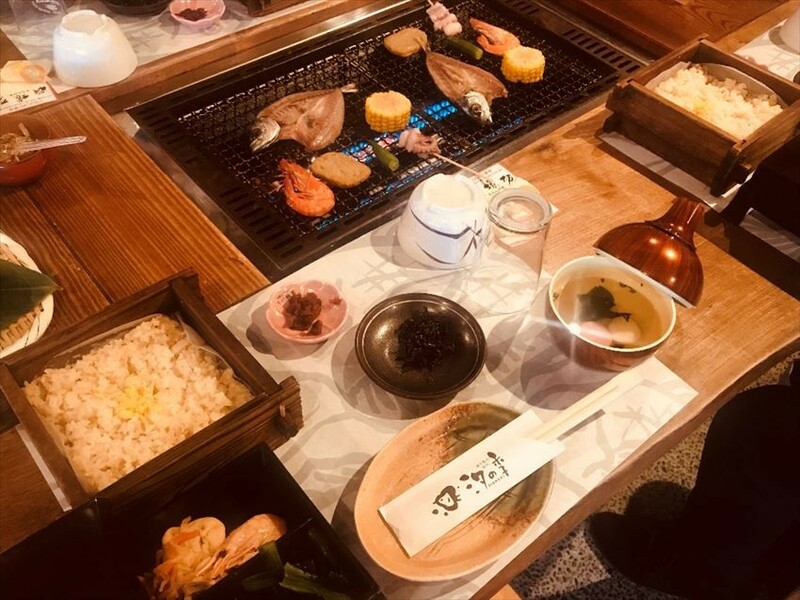 Ehime Prefecture is not only home to famous tourist destinations such as Dogo Onsen and Matsuyama Castle, but are lots of activities as well! Because it is a prefecture facing the Seto Inland Sea, there is also a beautiful ocean view and home to many islands. 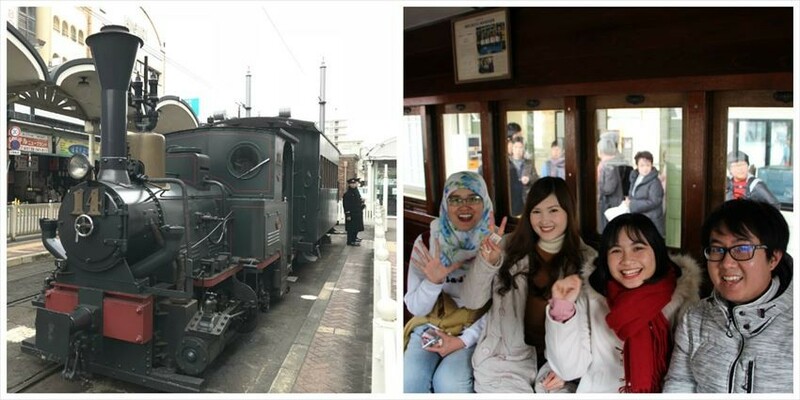 This time we introduce three fun vehicles to enjoy in Ehime: Shimanami Kaido Cycling,Torrent and Whirlpool Experience Cruise, and the Botchan Train from the Meiji period (1888 AD). 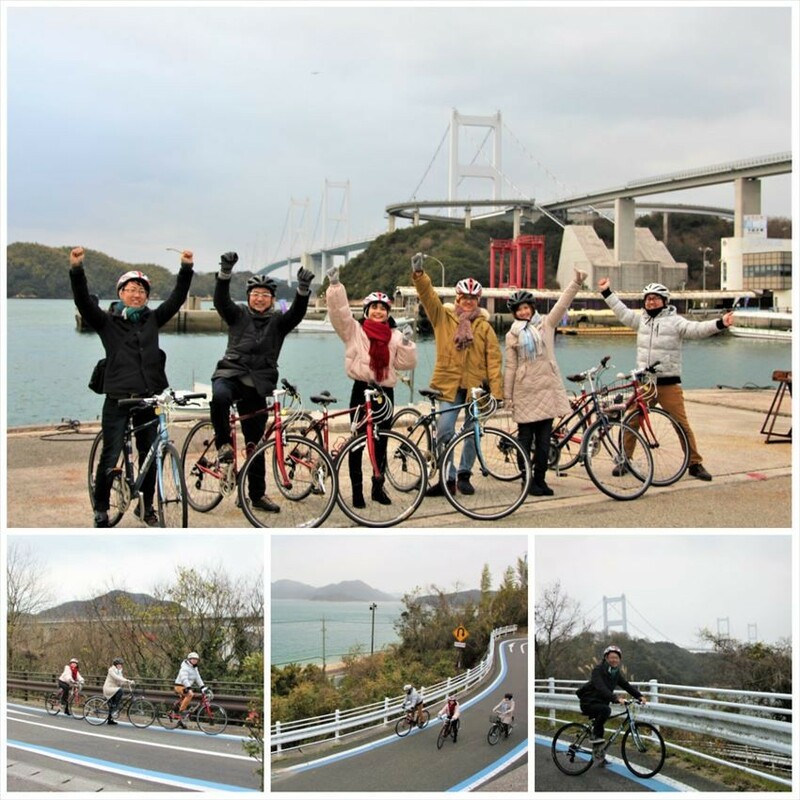 A Cycling Road with World-Recognition: "Setonai Shimanami Kaido"
"Setonai Shimanami Kaido" is a nickname for the West Seto Expressway, connecting about 70 km in length through six islands from Imabari City in Ehime Prefecture to Onomichi City in Hiroshima Prefecture. In addition, 13 bicycle rental terminals are maintained on the route, free to drop off. This time we will introduce a cycling route that can last for half a day. 10: 00 If You Want to Rent a Bicycle, Stop Here! There are eight places to rent a bicycle in Ehime prefecture and five places in Hiroshima prefecture. This time we rented from Yoshiumi Bicycle Terminal (Road Station "Yoshiumi Ikikikan"). Electric bicycles are also available! 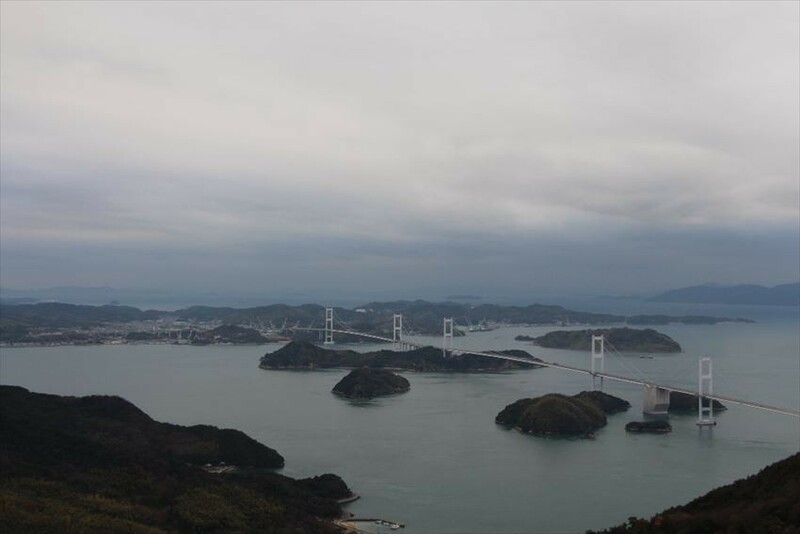 We could look over the Kurushima Kaikyo Bridge and the Seto Inland islands, both of which offer a wonderful view. As the slope continues, it is a bit difficult to go by bicycle, but it’s worth it. 13:00 The Setonai Shimanami Kaido Largest Meal & Souvenir Spot "Seito Uchi Chaya (Oshimajima)"
Order the most popular snapper set meal at this shop. Grill vegetables and seafood by yourself while you stuff your face with delectable fish ... It is a meal that will delight a body tired from vigorous cycling. It’s also a great place to taste local specialties and buy souvenirs. 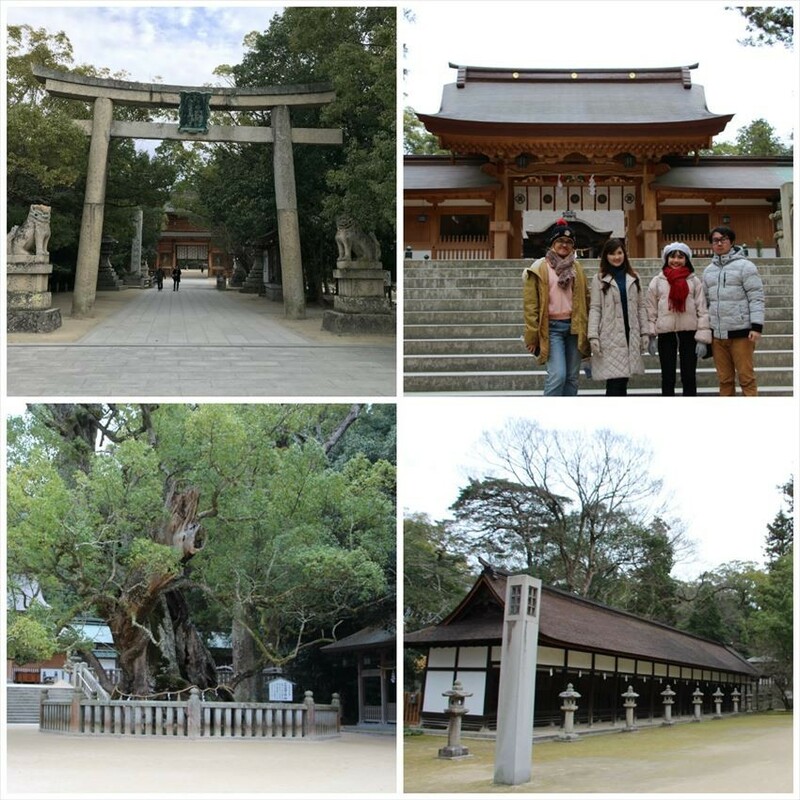 Associated with many Shinto deities, a shrine with over 10,000 branches nationwide. For an estimated age of 2,600 years, the shrine seems to have watched over the precinct since ancient times. It is worth visiting this shrine where many famous warlords and other historical figures are also respected. It closes at 17:00, so be careful to mind the time. There is a big tree in the road approaching Oyamazumi Shrine. 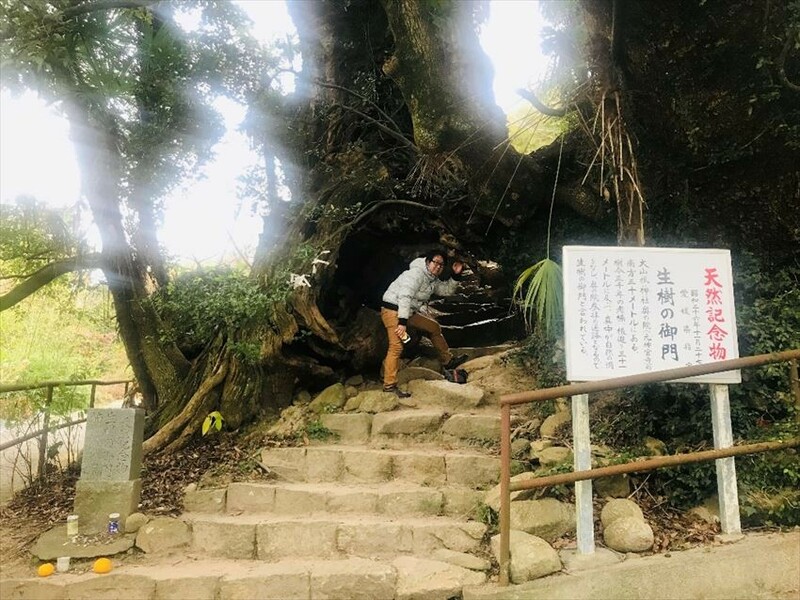 This giant of a tree with an age of about 3000 years and a base of 30 meters is a natural treasure of Ehime Prefecture. The roots create a natural passage, with such height that even adults can pass through. It seems that the ancient people traveled to Okuno via this place. 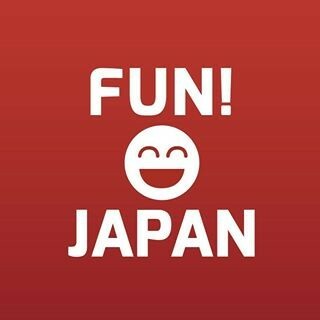 Challenge Japan's Three Greatest Rapids! 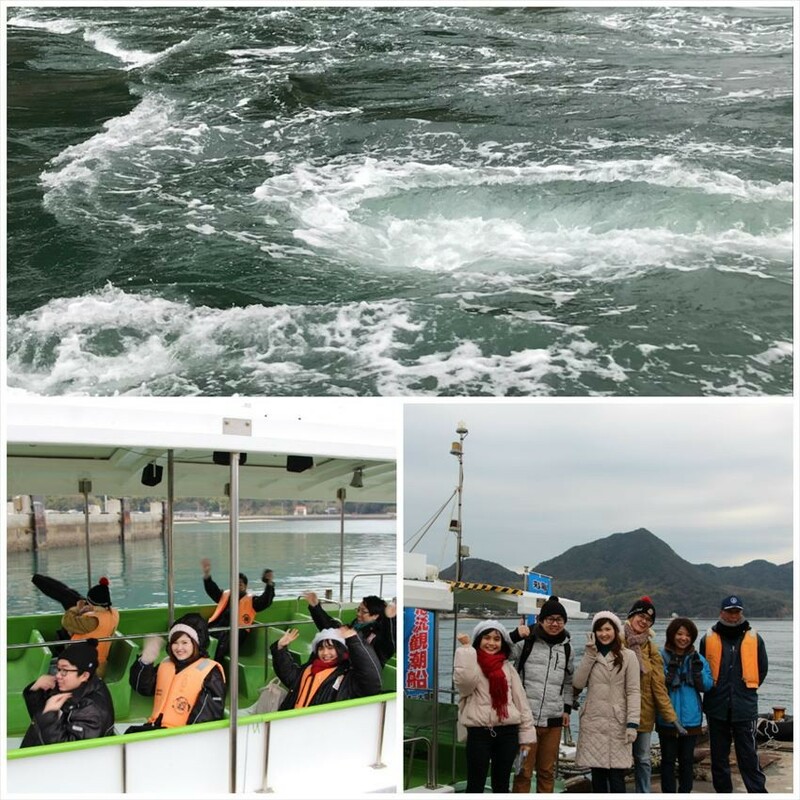 "Kurushima Strait Rapid Flow Observation Tide Boat"
A cruise that allows you to experience the tide of "Kurushima Kaikyo" one of Japan's three greatest tides. Sometimes the side tide rises from the bottom of the ocean, and the whirlpools turn round and round, etc. are seen here and there. The power is masterpiece. Furthermore, it is good to see the world's first triple suspension bridge "Kurushima Kaikyo Ohashi" from the sea. There is No Wall on the Ship and the Seat is Thrilling as Close as the Sea Level! The Botchan Train was a steam locomotive operated between Matsuyama and Mitsu for 67 years from 1888. The Botchan train which is now backed runs as a tourist symbol of Matsuyama. While driving, the conductor explains nearby tourist information. The end point of this train is Matsuyama-shi station, and when passengers get off the course is changed manually. We saw these types of things for the first time! 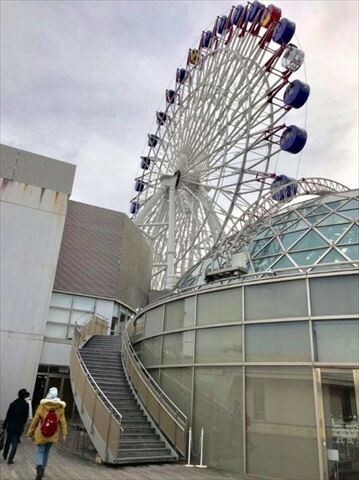 Bonus: With all tickets on the Botchan train, you can ride the usual gondola of "Iyotetsu Takashimaya Ferris wheel Kururin" for free, so don’t forget to catch a ride! You can ride for free by presenting your passport.